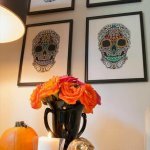 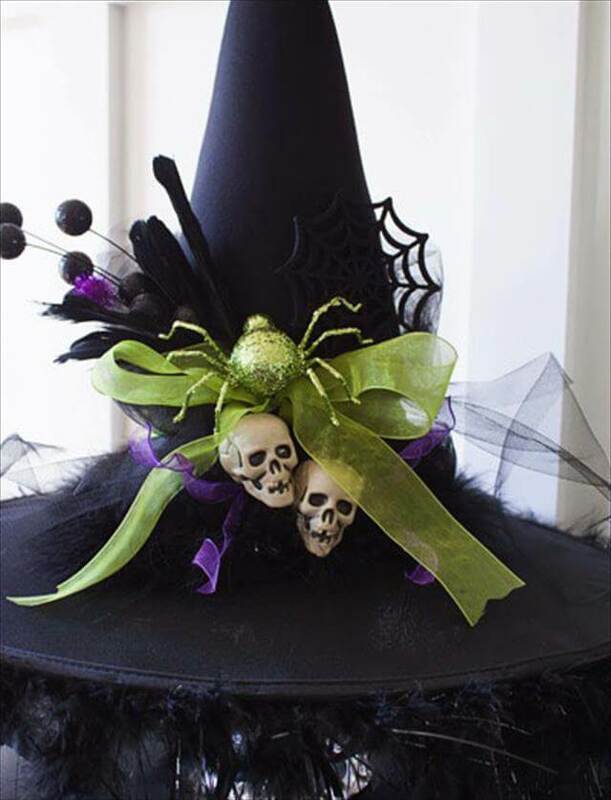 To decorate the house with scary things at Halloween is the spirit of this festive and it requires a lot of attention to be celebrated with full zeal. 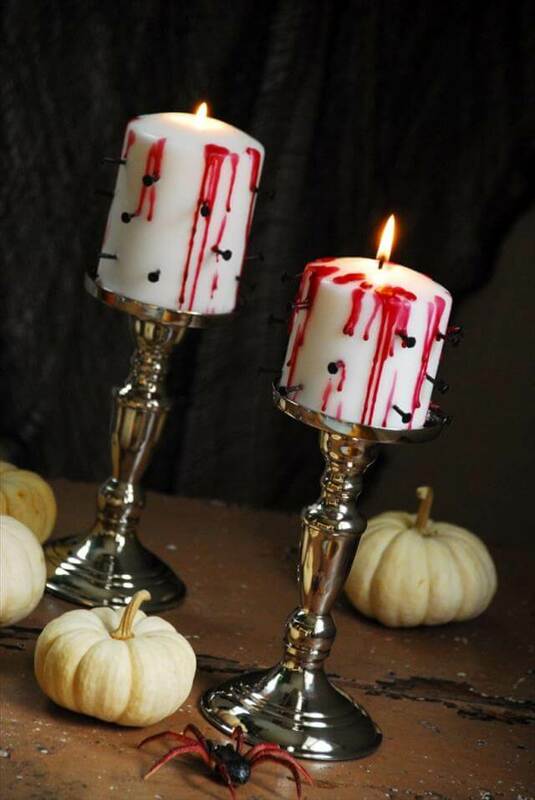 Making creepy things might sound childish to someone around but tell him that it HALLOWEEN and it must be full of horrifying props especially for the center table so that you can enjoy your fearful dinner with your friends and family as well. 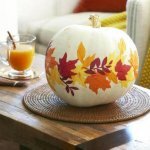 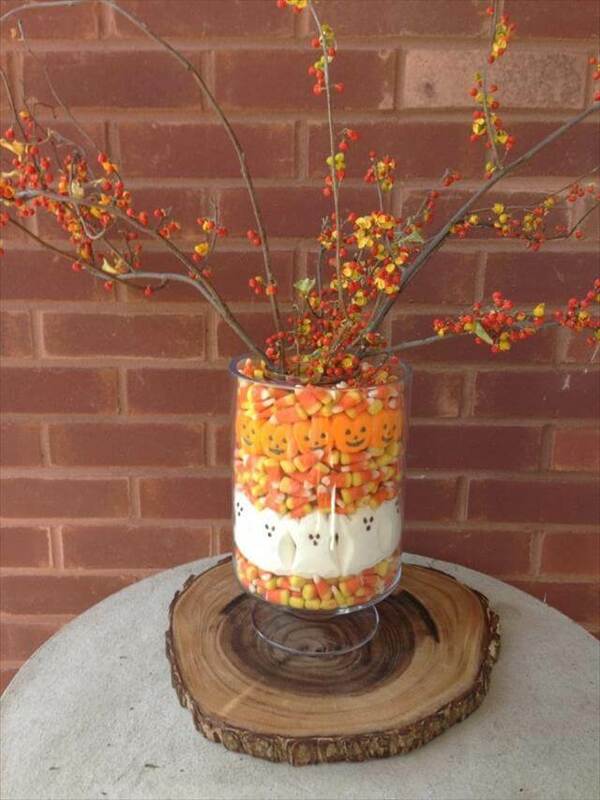 Take bird’s eye view of these 20 DIY Halloween center piece ideas, and you will get a plenty arrival of imaginative ideas and plans to decor your house with. 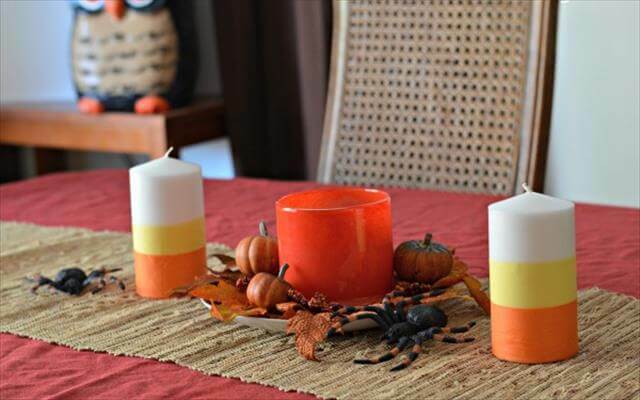 You don’t need to loosen up your pocket for the purpose, all you would be in need for is some home lying supplies, some handy tools and your creative imagination power to be used for the gaining of Halloween center pieces. 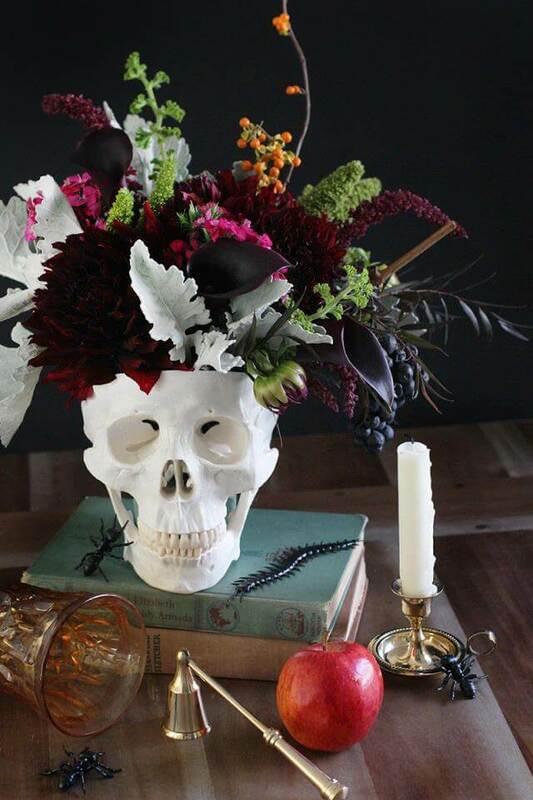 As you can see in the following pictures you can do many terrible projects with pumpkins, skeletons, skulls. 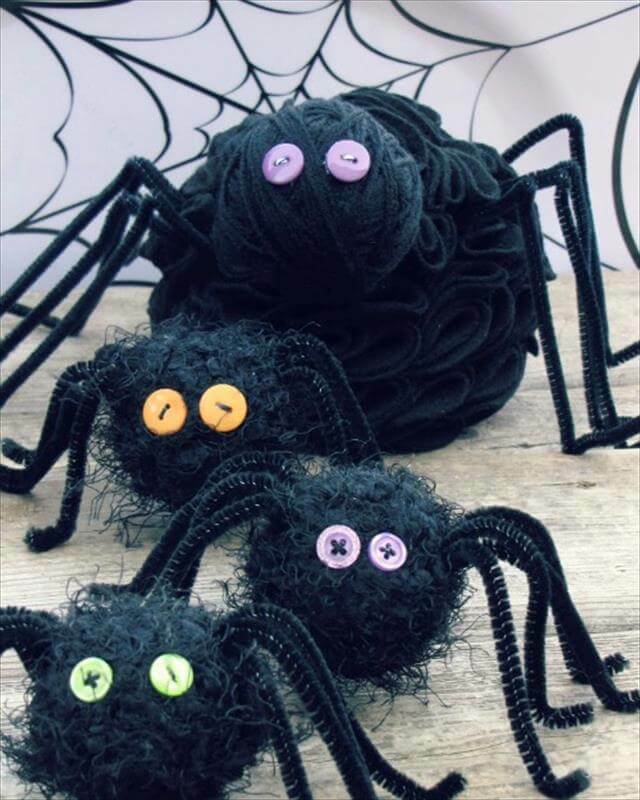 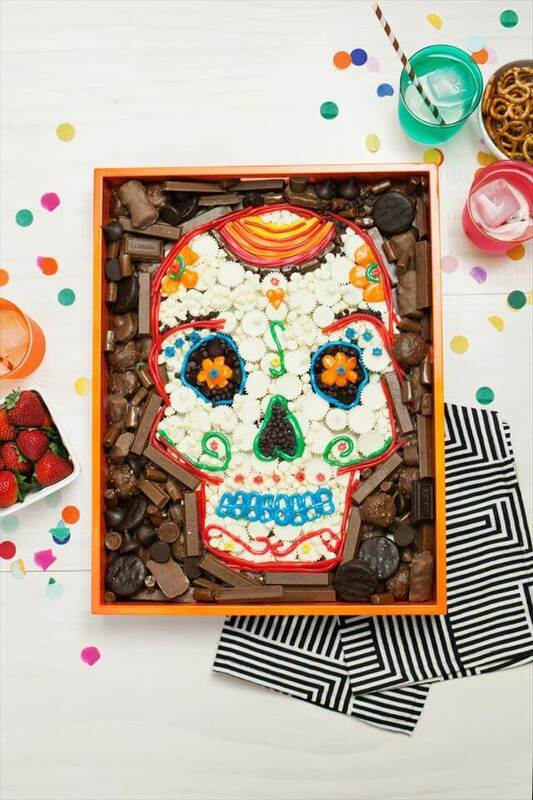 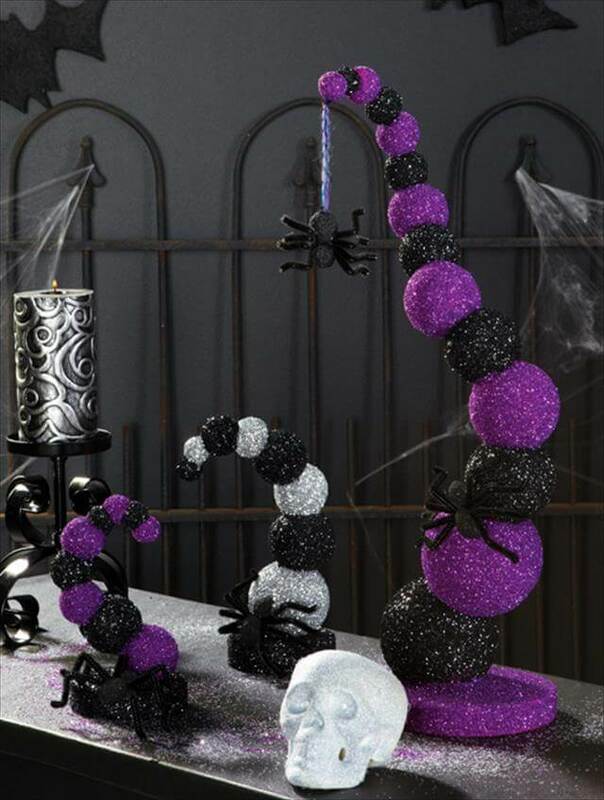 Spiders, candles, vases, corn candies and sweets to get a perfect breath taking center piece to go with your whole Halloween setting. 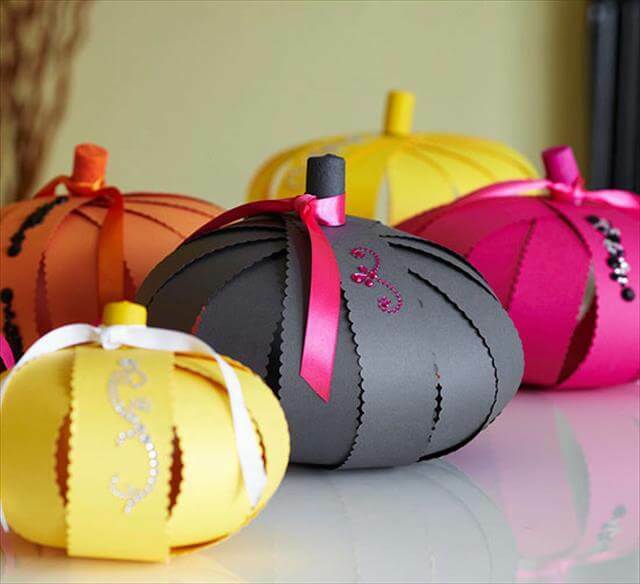 Indulge your kids in the making of these decorative pieces it would let you spend some quality and fun time with them.